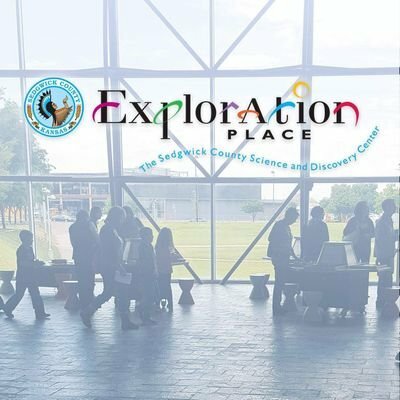 Exploration Place Coming to the Library! Do you have a budding scientist? A child that loves hands-on learning experiences? Or just a kid that is going to be bored come the third day of spring break? Join us for some fun! Exploration Place will be here to put on a hands-on chemistry show! The show is Wednesday, March 13th at 10:30 am in the Multi-purpose Room. Open to all students Pre-K to 12th! 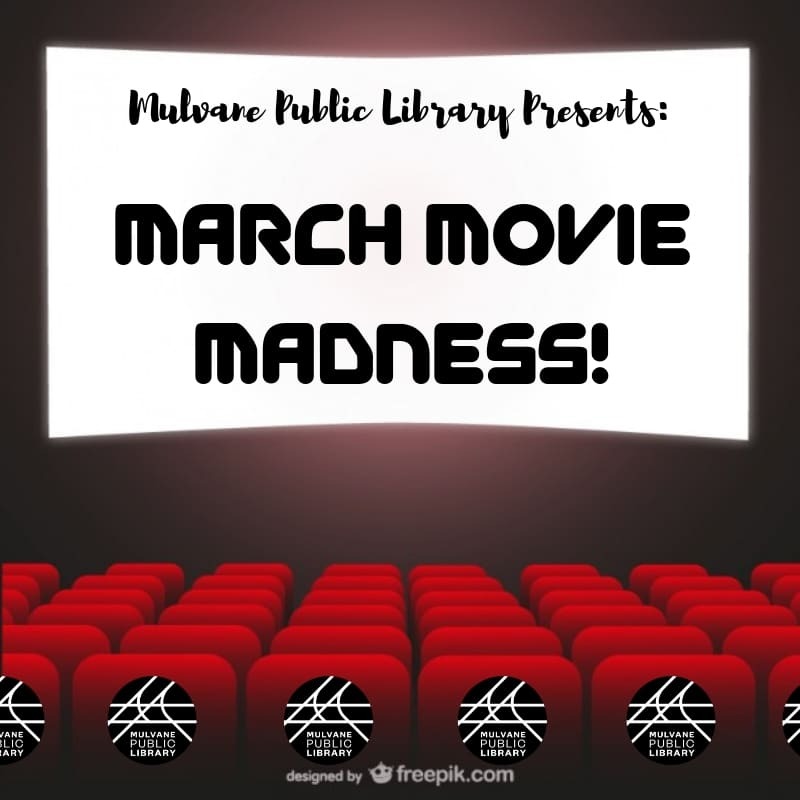 We will be doing a movie March Madness this month. No worries if you haven’t seen all the movies, it is not necessary to participate. However, you can always check them out here, or request them through Interlibrary Loan. Patrons can check out 4 movies at a time for 1 week, given that their fines are not over $5. 1. You can get a bracket from the library, or you can download it from this blog post. We are accepting brackets starting March 4, 2019. 2. Patrons must turn in a physical copy of the bracket to the circulation desk by Saturday, March 23. Make sure your name and phone number is on the bracket! 3. You do not have to watch all the movies to participate, but feel free to attempt that challenge! Winner will be announced Monday, March 25! The prize will be a copy of the winning DVD! 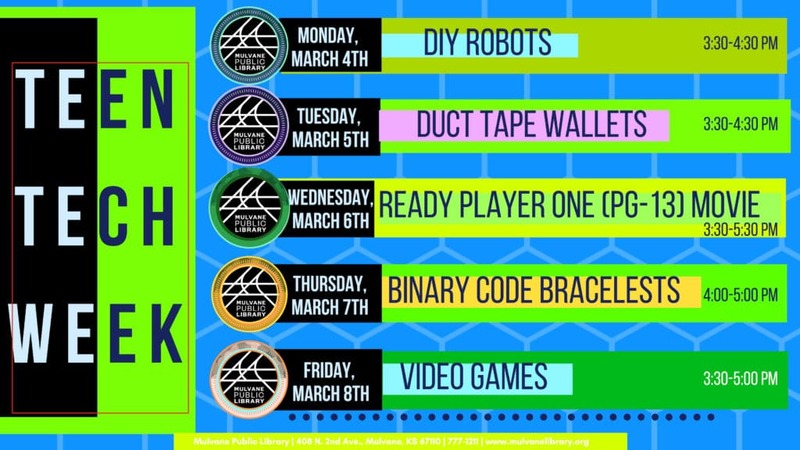 March 4th – 8th is Teen Tech Week! This week we celebrate all the cool technology the library provides to help teens build 21st-century skills and learn from. Teens in grades 6-12 are welcome to stop in and join us for an activity every day of the week after school. Hope to see you at the Scene this week! What technology does the Mulvane Public Library Offer? It is already March! Join us for these upcoming adult events. All of these events are open to teens (grades 6-12) and adults. Registration is not required for these events, but is suggested! Mommy & Me Book Club: Starts at 10:30 am, this month we will be reading Next Year in Havana by Chanel Cleeton. Lunch and Learn: Deaf Culture with Robbie Isbell. Feel free to bring in your lunch as we learn more on the history of Deaf Culture. Starts at 12:00 pm. Bunco! – A fun dice game for everyone. Starts at 6:30 pm. Coffee and Community: Join us for coloring, coffee, and chatting! Starts at 6:30 pm. March 14: Happy Pi Day! Books with Bite: We will be reading Freshwater by Akwaeka Ewezi. We will be meeting at Jane’s Landing! Starts at 6:30 pm. Pro-Kansas Recycling Program: Pro-Kansas Miller Recycling will be here to talk to us about recycling and what we can do to help planet Earth! Starts at 6:30 pm. Creative Writing: Join us as we write, talk, and share our stories and methods of writing! Starts 6:30 pm. Sew Monday: Sewing Group. Starts @ 10:30 am. Ask Maggie: Computer Class topic is Online Security. Feel free to come in though and get other technology questions answered as well. Starts at 6:30. Fiction and Friends: Book will be The Same Sky by Amanda Eyre Ward. Starts at 6:30 pm.